One of the leading causes of death among seniors is cardiovascular disease. However, the elderly can reduce their odds of developing cardiovascular issues by maintaining a healthy lifestyle. Boosting heart health requires a lot of commitment, along with encouragement from family caregivers. Here are some tips on how you can boost your aging parent’s heart health. The foods your loved one eats have an impact on how his or her heart functions. Excessive amounts of sodium can damage the blood vessels, which increases the risk of developing high blood pressure. Many seniors consume more salt than is generally recommended by medical providers, which increases the risk of strokes, heart attacks, and other cardiovascular issues. Limiting the amount of salt your loved one adds to food is not enough to overcome this problem. Your loved one also needs to stop eating foods that are high in sodium, especially processed foods. Fresh foods with healthy spices and seasonings are the best options for seniors who want to boost their heart health. Seniors who want to remain healthy as they age can benefit in a variety of ways when they receive professional senior care. Huntsville, Alabama, Home Care Assistance is here to help your loved one accomplish daily tasks, prevent illness, and focus on living a healthier and more fulfilling life. Exercise strengthens various muscles in a senior’s body, especially the heart. When older adults exercise, their coronary arteries become flexible, boosting blood flow to the heart and reducing the risk of atherosclerosis, an issue that causes the arteries to harden and leads to a heart attack. Some of the best exercises for seniors to do to boost their heart health include walking, swimming, and cycling. Exercising can also reduce the risk of obesity, depression, and other health issues that can cause heart disease. Smoking can damage the lining of an aging adult’s arteries, causing fatty material to build up and narrow the arteries. With narrow and clogged arteries, the odds of having a stroke or heart attack increase. It can be a challenge to stop smoking, especially in the senior years. However, family caregivers can encourage their loved ones to develop healthy habits that take away the urge to smoke, leading to a better quality of life and ultimately reducing the risk of heart disease. Encouraging your loved one to adopt a healthier lifestyle may be challenging and overwhelming. There are a variety of reasons family caregivers should consider respite care. Huntsville, Alabama, families often have additional responsibilities that make it more challenging to provide the care their senior loved ones need and deserve. A professional respite caregiver can take over your important caregiving duties, allowing you more time to focus on yourself. When seniors are unable to control stress, their bodies may be exposed to unhealthy levels of cortisol and adrenaline, which are stress hormones that change the way blood clots. The more adrenaline and cortisol your loved one’s body releases, the harder his or her heart will have to work. Breathing and heart rates may speed up, causing blood pressure to rise. Some of the ways seniors can control their stress levels include eating healthy, exercising, getting adequate sleep at night, talking with a mentor, and limiting caffeine and alcohol consumption. 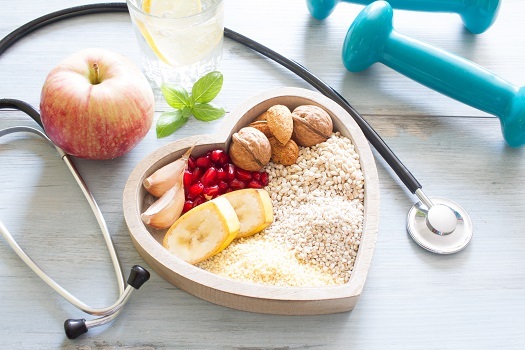 Motivating your loved one to adopt a healthier diet and participate in physical activities to boost heart health may be difficult without assistance. If your aging loved one needs help managing everyday tasks or encouragement to adopt healthier lifestyle choices, turn to Home Care Assistance, a leading provider of home care. Huntsville Home Care Assistance provides professional in-home caregivers around the clock to help seniors live longer, happier, and healthier lives. Call (256) 716-9940 today to speak with a Care Manager and find out more about our in-home care services.